Philadelphia native ARI HOENIG was exposed at an early age to a variety of musical experiences. His father is a conductor and classical singer, his mother a violinist and pianist. Accordingly, at 4 years of age, Ari began studying the violin and piano. He began playing drums at age twelve, and by age fourteen he was honing his skills with other young jazz musicians at Philly clubs such as Ortlieb’s Jazz Haus. He’s shared the stage with such artists as Herbie Hancock, Ivan Linz, Wynton Marsalis, Toots Theilmans, Dave Holland, Joe Lovano, Pat Metheny and Gerry Mulligan among many others. 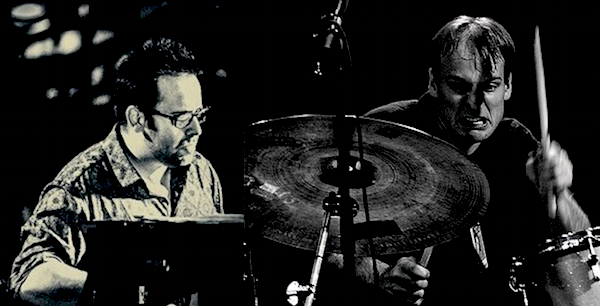 Ari Hoenig & Manuel Valera Trio at Terraza 7 on Friday October 10th, 2015 at 9:30 pm. No Replies to "ARI HOENIG & MANUEL VALERA TRIO"